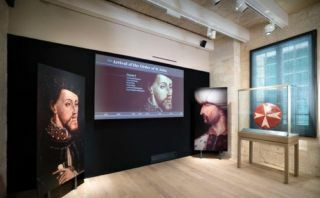 Sarner, with the help of AV Stumpfl equipment, created and installed 700 graphics panels and content for over 100 audiovisual productions at the new National War Museum in Malta. The Museum tells the story of Fort St. Elmo’s history including the Great Siege of 1565 and Malta’s pivotal role in World War II - its citizenry were awarded the George Cross, the civilian equivalent of the Victoria Cross. Sarner worked with design consultants Forward Architects Joint Venture and contractor Camray to complete the project. Each player loops all of Sarner’s data and multimedia-based content that is frame synchronized for failsafe presentations from opening to closing of the museum. A Wings Engine Play is used at the Cavalier to manage content over three projection areas. Wings Engine Play is a hardware platform that uses AV Stumpfl automatic camera based alignment calibration and has show control capabilities. The Grand Harbour Regeneration Corporation in collaboration with Heritage Malta invested €15.5 million into Malta’s Fort St. Elmo to turn the historical site into a tourist attraction. It opened in May 2015.